IN 2014, THE BRITISH Royal Mint issued a gold proof 50p coin only eight mm in diameter*, weighing in at 1/40 Troy ounce (0.8 grams.) This is the smallest coin the UK has ever struck and surely one of the smallest modern coins. 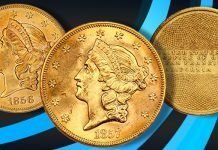 For comparison, the smallest coin the United States Mint has ever produced–the U.S. gold dollar, struck in several designs from 1849 to 1889–weighed 1.672 grams and measured 12.7 to 14.3 mm. Compared to the smallest coins of Antiquity, these little trinkets are big bruisers. 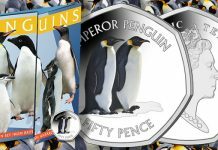 In this article we will explore just how tiny coins can get. There are three ways a coin can be tiny: weight, dimension (diameter and thickness) and value. 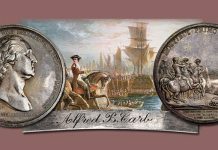 The Latin motto of the American Numismatic Society (ANS) is Parva Ne Pereant: ”Let not the small things perish.” The survival of so many extremely small coins from the remote past shows how appropriate this slogan is for people who treasure ancient coins. Metrology is the study of weights and measures. With relentlessly logical minds, but lacking the advantage of decimal notation, ancient Greeks created systems of weights based on simple fractions. These became the basis of their coinage denominations. Let’s start with the silver drachma of the Athenian or “Attic” standard, weighing 4.3 grams. For comparison, a fresh uncirculated American nickel weighs exactly 5.000 grams. The drachma was divided into six obols, each about 0.72 gram. The little obol, in turn, was subdivided into halves (the hemiobol), quarters (the tetartemorion) and even eighths (the hemitetartemorion.) Measuring only four to five millimeters in diameter and weighing 0.08 to 0.12 grams, the little hemitetartemorion was the smallest Greek silver coin. 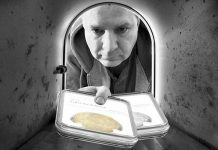 It is hard to imagine what such a small bit of metal (only 1/48 of a day’s wage for a laborer) would buy – perhaps a chunk of bread or a cup of cheap wine. This all appears to be based on the misreading of certain passages in the comedies of Aristophanes. Small change must have been carried in leather or linen purses, tucked into a belt. But there is ample archaeological evidence for the ancient custom of placing an obol in the mouth of a corpse to pay Charon, the ferryman who carried the spirits of the dead to the underworld. To find the tiniest ancients we have to go even further back in time, to the electrum coinage of Lydia and the Greek cities of Asia Minor. Like most questions in classical numismatics, the dating of these coins is controversial, but circa 650 BCE is the earliest guess for unmarked types and ca. 630-620 for types stamped with designs. The weight standard was based on a stater of about 14 grams, worth three month’s salary for a mercenary. Because electrum was so highly valued, most of the coins were smaller; thirds, sixths, twelfths, and twenty-fourths. 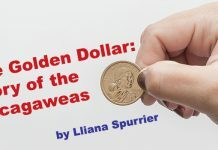 The 1/24 stater, weighing about 0.57 grams and measuring only about six millimeters in diameter, could purchase a sheep or a bushel of grain (Linzalone). But the need for even smaller units in the day-to-day transactions of city life led to the production of miniscule 1/48 and 1/96 staters. At three or four millimeters in size, weighing just 0.15 to 0.10 grams, these are the smallest coins issued in the ancient world. I find it easier to avoid the decimals and just think of the weight as 150 to 100 milligrams. To keep this in perspective, an aspirin tablet weighs 325 milligrams. The practical Romans had little use for impractically tiny coins. The smallest regular imperial denomination until the mid-second century CE was the copper quadrans, worth 1/16 of a silver denarius. At 15 mm diameter and about two grams, it is roughly comparable to the modern euro cent (16.25 mm, 2.27 g). In the King James Bible (1611) the English farthing, worth one quarter of a penny, was used to translate quadrans According to Matthew 10:29, in first-century Judea, two sparrows were sold for a quadrans. 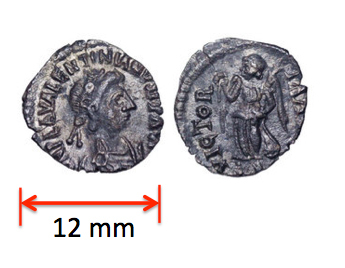 An even smaller coin that might have been a half-quadrans was struck at Rome for circulation in the East. By the fifth century, inflation had reduced the value of Roman copper small change to nearly nothing. The names of the denominations are often uncertain, so numismatists use a code based on the diameter of the coins. The smallest denomination is designated as AE4 and it was probably called a nummus, which simply means “coin”. In the local coinage of first-century Judea, the smallest denomination was a bronze coin called a lepton in Greek and a half prutah in Hebrew. The smallest denomination coin known to the translators of the King James Version of the Bible was the Flemish mijt or “mite,” a debased silver piece of about 0.7 gram, worth half a farthing or 1/8 of a penny. It never circulated in England, but the word was familiar enough to contemporary readers that “mite” was used to translate lepton. The smallest coins are likely to have a low survival rate, which makes them relatively scarce. For most collectors, they lack the “eye appeal” of their larger cousins. They seldom appear in major auctions, and few dealers have many in stock, so they can be quite challenging to collect. The upside of this is that when they do appear on the market, they can be quite affordable. 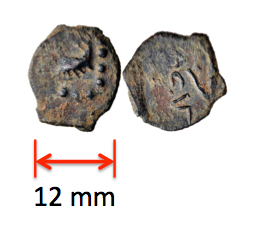 Well-worn, poorly struck examples of the bronze “Widow’s Mite,” commonly found in large numbers in the Holy Land, can often be purchase for under US$20. The smallest fractional electrum coins, on the other hand, go for strong prices, in the $500-1000 range. One exceptionally rare early Ionian 1/24 stater sold for $5500 (Classical Numismatic Group (CNG) Electronic Auction 282, July 2012, Lot 74). The silver tetartemorion and rare hemitetartemorion often sell for under $100 at auction, and even high-grade specimens rarely bring over $250. The highest recent price I could find for a hemitetartemorion was $1,000 for a specimen from the city of Magnesia in Ionia dated ca. 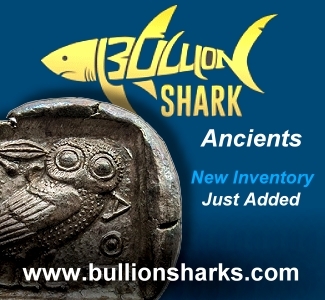 470-450 BCE and described as having “exceptional metal and style” (CNG Auction 90, May 2012, Lot 589). For small silver coins, crystallization is another problem. Over the course of centuries, ancient silver tends to form small crystals, giving the surface a grainy appearance and making the metal brittle. This seems to happen more readily with very small coins. As might be expected, a good magnifying lens is essential to appreciate the remarkable detail that ancient engravers were often able to achieve on these tiny coins. *One inch equals 25.4 mm. Previous articleCool Currency from Spink Auction October 2, 2014.. VIDEO: 5:06. VIDEO: 5:06. I think that you might be a bit off on some of these pricings. I recently bought (March 2014) electrum 1/96’s of the plain (2.5-3mm diameter 0.113 grams)and raised square (0.187 grams, 5mm diameter) and I paid around 800 pounds each. After fees, postage etc, one was $1359 (purchased at auction from Roma) and $1251.08 (negotiated down from an asking price of twice that much). 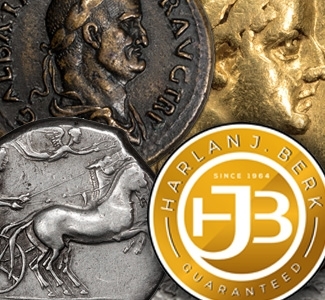 One area of small change that you have overlooked is the Yehud coinage. These are all silver and range from ~0.70 grams down to ~0.10 grams. You mentioned the bronze prutoh and half prutoh, but did not mention their silver equivalent. The prutoh was equivalent to half a grain weight of silver, with the grain being a bit over 44 milligrams. Many thanks for the update. 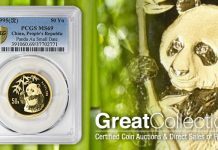 I try to keep track of current market trends, but prices on good ancient coins have been very strong in recent auctions. 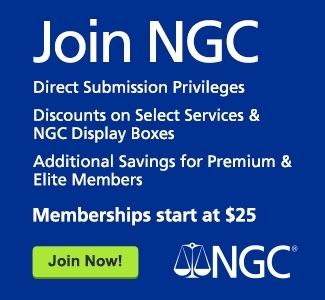 I take this as a good sign for the future of classical numismatics. 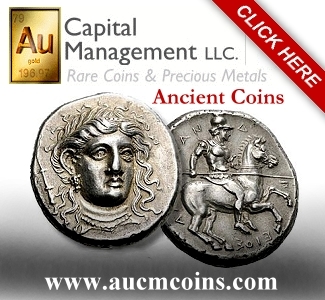 It’s really interesting to learn about the history of ancient coins. I thought that the information about how Greeks were thought to have carried around tiny coins was particularly interesting. It never occurred to me that misreadings of passages in the comedies of Aristophanes might have stated that they may have carried their coins in their mouths since they’re so small. You don’t exactly see that in the movies featuring ancient Grecians. I can see why they’re more likely to have carried their coins around in linen purses or tucked into a belt though.